International authors in Spanish, English, French and others have created a phenomenal impact on readers and a generation of writers. The innate dexterity and vocabulary prowess have helped English authors churn out the best in literature. Besides, there have been hugely successful International writers in the English language. Prolific International authors have earned a niche in various genres of writing, and have always held the standards high for writers in the English language. Dan Brown is an American author of the thriller fiction genre. His novels have historical themes and Christianity as recurring motifs. His works have kissed controversy and he is a self confessed fan of Shakespeare and Sidney Sheldon. An acclaimed crime writer of novels, short stories and plays, she is best known for her detective novels. She, like Shakespeare, is the best selling author of all time, and the most translated author in the world, according to UNESCO. He is a Brazilian lyricist and novelist with immensely popular books that have been translated into maximum number of languages. He holds a Guinness Record for the same. His works reflect a few incidents and their impact on his life. A world renowned author of thrillers and historical novels, Ken Follett has sold 100 million copies. Having studied philosophy, he became involved in leftist politics. He became wealthy and internationally known through his writings. An American novelist, lawyer and politician, John Grisham is best known for his hugely successful legal thrillers. He is a self confessed ‘moderate Baptist’ and winner of lifetime achievement award at the Galaxy British Book Awards. Stephen King is the undisputed king of horror, suspense, and fantasy fiction. More than 350 million copies of Stephen King's works have been sold, and many of his stories have been adapted for film, TV, and other media. Nora Roberts is an American best-selling author and also one of the most experienced authors with over 213 Romantic novels to her name. She was also the first author to be inducted into the Romance writers of America Hall of Fame. 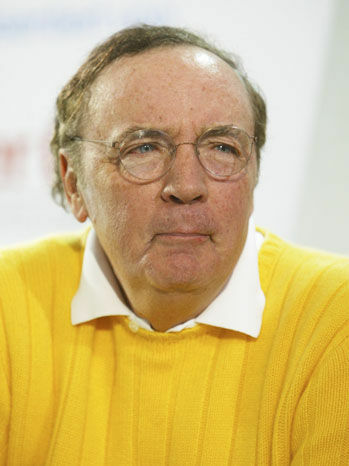 James Patterson is an American writer who has achieved many accolades through his writing in the genre of thillers. He is a Guiness World Record Holder for being the first person to sell 1million e-books. He also topped the Forbes’ list of highest paid authors consecutively for 3rd year in 2016. He was an American writer and TV presenter. Although his shows on TV did very well, he became famous after his best selling novels hit the stands. He is the winner of the Academy Award for Writing Original Screenplay and Tony Award. He is a bestselling author of novels and short stories. He worked in the House of Commons but opted for a writing career, to clear his debts. His works have been televised into popular television shows and his novels are well received. David Baldacci is a best-selling American Novelist. He practiced as a lawyer at Washington D.C. and while practicing law he turned to writing novels. He has published 25 additional best-selling novels for adults including Absolute Power, Saving Faith, Wish You Well, Last Man Standing etc. and 3 novels for children. Rhonda Byrne is an Australian television writer and producer and she rose to fame with her books The Secret, The Power and The Magic. She was included in Time Magazine's list of 100 people who shape the world. Her books are based on the the philosophy that believing will allow you to achieve your wishes and dreams. The well known science fiction author, Robin Cook, is an American physician and novelist. He writes on medicine and topics affecting public health. His books are scientific thrillers that have garnered immense popularity world wide. Charles Dickens (February 1812–9 June 1870) is one of the most popular of novelists of all time, and he has created some of English literature's most iconic characters from the Victorian era including Oliver Twist and Mr. Pickwick. Rick Riordan is the author of the Percy Jackson and the Olympians series. Rick Riordan also wrote the Tres Navarre mystery series, and helped to edit Demigods and Monsters, a collection of essays on his Percy Jackson series. He was one of the most prolific essayist, dramatist and novelist of the 19th century. His masterpieces War and Peace and Anna Karenina are a realistic depiction of Russian life and attitudes. He was commemorated on Soviet stamp of 1978. She is the most widely read writers of classic English literature. Her works reflect the sensibility of the 18th century and its transition to 19th century. Her works dissect moral issues and hold a pride of place in classic literature. Jules Verne is a French author who pioneered the science -fiction genre. Although his works suffered in English speaking countries, they gained momentum with apt translation. His works have inspired filmmakers from diverse genres. Better known by his pseudonyms; Rene Brabazon Raymond took to writing after a string of odd jobs. His works reflect life in America although he never really lived there. His works are centered on mysterious events and female antagonists. A world renowned English poet and playwright, he was regarded as the greatest writer and dramatist in the world. Though applauded by Romantics and Victorians, he achieved supreme recognition only towards the start of the 19th century. He was an American author, theatre artist, actor and producer; better known for his literary works. He authored 25 thriller novels that got published in 32 languages and 40 countries. His most notable work is 'The Bourne Trilogy'. He was an American author, producer, screen writer and director. He is best known for his work in the science/medical fiction and thriller genres. Many of his works have been adapted into movies. He won the coveted Edgar Award in 1969. She was an English author, media personality and London society figure, best known for her romance novels. With the success of her first release Jigsaw, she embarked on a writing career which won her praise and worldwide recognition. She is an English novelist and former actress and author of 27 novels, all of which have been on the New York Times bestsellers list, selling over 400 million copies worldwide. Her novels are of the romance and organized crime genre. He is a world renowned American author known as the Stephen King of children`s literature. He wrote since the age of 9 and has been writing ever since. He writes in the horror and adventure genre and his works are adapted into movies. Haruki Murakami is a Japanese writer who has won many accolades for his work and is well-acclaimed all over the world. He has compiled books in both fiction and non-fiction and his work has been translated into more than 50 languages. Enid Blyton was a renowned British writer of children`s fiction. Her ‘Famous Five’ and 'Secret Seven' series are very popular. Her books have sold over 600 million copies. She was voted Best Loved Author in the 2008 Costa Book Awards. She is the author of the Harry Potter series, highly acclaimed for her work. Her books have been on the top 3 slots of the New York Times bestsellers list. The series is translated in 35 languages and has sold over 30 million copies. John R R Tolkien, CBE (3 January 1892 – 2 September 1973), was an English writer, poet, philologist, and university professor, and the author of the classic high fantasy works The Hobbit, The Lord of the Rings, and The Silmarillion. He was born in Kabul but lived a major part of his life outside Kabul. His early inspirations were select Persian translations and poetry. He won Original Voices Award, Borders Group, and Alex Award for his debut novel The Kite Runner. Roald Dahl was a British novelist, short story writer, and screenwriter known for dark humor. His famous works include James and the Giant Peach, Charlie and the Chocolate Factory, Fantastic Mr. Fox, Matilda, The Witches, and The BFG. Robert Kiyosaki is an American investor, self-help author and motivational speaker. Robert Kiyosaki is recognized for his Rich Dad Poor Dad series of motivational books and other material published under the Rich Dad brand. Dale Carnegie is one of the most influential motivational authors and speakers of all time. His books have been translated into more than 75 languages and more than 8 million people have graduated in his courses on self-development. Jack Canfield is an American motivational speaker and author. Jack Canfield co-authored the Chicken Soup for the Soul book series, which at present has almost 200 titles, and112 million copies printed in over 40 languages. Ayn Rand was a Russian-American novelist and philosopher. She first achieved fame in 1943 with her novel The Fountainhead, and then her best-known work, the philosophical novel Atlas Shrugged reflecting her philosophy of Objectivism. Nelle Harper Lee is an American author known for her 1960 novel To Kill a Mockingbird. She received the 'Presidential Medal of Freedom' of U.S. in 2007. Her own character has been portrayed in several Hollywood films and TV serials. Mark Twain was termed the “father of American literature,ï¿½? by William Faulkner. Twain’s unparalleled sense of humor and literature has made his works and characters like Huckleberry Finn, and Tom Sawyer popular across generations. Louis L'Amour was an American author of Western fiction. One of the most popular writers in the world, all 105 of his works were in print at the time of his death (89 novels, 14 story collections, and 2 works of nonfiction). Dean Ray Koontz is an American novelist best known for his suspense thrillers. He often incorporates elements of horror, science fiction, mystery, and satire in his novels. Koontz writes bestsellers on a regular basis. Warren Edward Buffett is one of the most successful investors in the world, and CEO of Berkshire Hathaway. The third richest man in the world, he is revered for his frugality and adherence to human values in spite of huge wealth. Ferit Orhan Pamuk is a Turkish novelist and the first Nobel Prize winner from Turkey. He is also the Robert Yik-Fong Tam Professor in the Humanities at Columbia University, where he teaches comparative literature and writing. Frederick Forsyth, CBE is an English author and occasional political commentator best known for thrillers such as The Day of the Jackal, The Odessa File, The Fourth Protocol, The Dogs of War, The Devil's Alternative, The Fist of God, etc. Ernest Hemingway was an American writer and journalist idolized for portraying authentic characters with a distinctive writing style. Ernest Hemingway’s prose widely influenced modern fiction and he won the Nobel Prize in 1954. Mario Gianluigi Puzo is best known for his novels on the Italian Mafia in America, especially The Godfather (1969), which he later turned into a film with Francis Ford Coppola. Mario Puzo won the Academy award twice in his lifetime. Doris May Lessing is an Iranian-born British writer. In 2007, she became the 11th woman, and the oldest person ever to win the Nobel Prize in Literature. She wrote many novels including The Grass is Singing and The Golden Notebook. Sir Arthur Conan Doyle, was a Scottish physician and writer, prominent for his role in modern crime fiction, and the creation of the characters of detective Sherlock Holmes and Dr. Watson which retain their popularity till today. George Orwell was an English author and journalist renowned for his opposition to social injustice, and satirical exposure of totalitarianism. His book The Animal Farm is one of the most widely read books of the 20th century. An Irish novelist, who made up to audience's heart at a very young age of 21. Cecelia Ahern, is the name behind the best-seller – 'P.S. I Love You'. She's also the co-creator & producer of famed sitcom, 'Samantha Who?'. Her writing beholds the strength to drive the readers, into the world she wants them to delve into. Cecelia has studied Journalism & Mass Communication at Griffith College, Dublin; before pursuing her career as a writer & producer. Veronica Roth, is an extolled name from the young adult fiction genre. She's an American writer, who has decked up her shelf with 'Divergent Triology'. She wrote the first book from the series, while being a senior year student at Northwestern University. Preeminent at the dark and dystopian form of fiction writing; her elevated series of Divergent has it's rights sold to Summit Entertainment. Two of which, are already adapted in movies; successful at box-office. While the third one is on it's way to release. Theodor Seuss Giesel; lovingly known as Dr. Seuss, is a 19th century American writer. No kid's childhood could have escaped from that fuss-creator cat, from the book 'Cat In The Hat'. Dr. Seuss is the creator & illustrator; who formed these series of children books. Dr. Seuss' another book – 'Green Eggs And Ham', is a peculiar one; as Dr. Seuss completed the whole book with just 50 different words. A poet, novelist, theatre-director, playwright; Samuel Beckett has played all these roles. From the land of art, Samuel Beckett played with the frequencies of human nature & emotion. He crafted his novels, from the essence called black comedy and gallows humour. He was considered as the last modernists, as his work came out of conventional zone and stuck to it in spite of odds. His contribution of literature was revered with a Nobel Prize during 1969. Closed personality, One novel, and yet a literary queen. Yes, that's what Emily Bronte is all about.Throughout her life, she penned down only one novel; named 'Wuthering Heights'. She has been a mysterious personality throughout; who lived a life of contradiction. While she donned a shy selfdom; she was very compassionate towards other's emotions. Albert Camus, yet another gem, from the land of art – France. He was a French philosopher; who worked around the acceleration of absurdism. 'The Rebel' being his most talked about novel; revolved around the concept of metaphysics and human development. Albert Camus, has also won French Noble Prize; for his contribution as an author, journalist & philosopher. His writings often linked up his name with another author, named – Sartre. A man who did not speak fluent English, untill his early twenties; earned the title of modernist English writer. Yes, it's this 18th century novelist – Joseph Conrad. He moved the literature world; with his works like, 'Heart Of Darkness', 'Lord Jim', 'The Secret Agent', et al. Humanity was expressed, with a deep understanding by Joseph Conrad; in his work. His style of work, impressed many other writers of later generation. Denis Diderot, is a French philosopher from 17th century. He is crowned as a literary figure, for his contribution as an co-founder, chief editor and contributor to Encyclopedie. Denis, has covered myriad shades of art; from being an playwright to being an art critic and writer. As the history has a noted tradition; Denis' work was too published after his death. 'Jacques the Fatalist', 'Rameau's Nephew' are few of the name from the bucket of his acclaimed work. Art, came as inheritance to Ralph Ellison. Yes, the renowned American novelist and literary critic; was named after the 19th century essayist and poet – Ralph Waldo Emerson. Ralph Ellison, was a sheer art lover. After studying music at Tuskegee Institute, Ralph expanded his interest in art to literature and writing. The noted work by Ralph Ellison, is 'Invisible Man'; which revolved around the social and intellectual frictions faced by African-Americans. This novel brought him the praise, with the winning of National Book Award in 1953. The name, 'William Faulkner', doesn't need much of an introduction. His works, like; 'As I Lay Dying', 'A Rose For Emily' and 'The Sound And The Fury', speaks for his literary wealthy personality. His works, threw light on the emotional and subtle factors related to the former slaves, working class Southerners and Southern aristocrats. The experimental writing pattern of his, earned him the most prestigious award of Nobel Prize Laureate. James Joyce, the most revered writers of 20th century. Despite of the continued ocular illness; his vision of literature went wide and deep. This was palpable from his collection of work like 'A Portrait Of An Artist As A Young Man', 'Chamber Of Music', 'Ulysses', and many others. A wordy rebellion of his time; D.H. Lawrence was a man who fostered the concepts of humanity, nature, emotional health over materialism, vitality and spontaneity. His works spoke high to bulwark the human emotions; that were being drained between the clash of modernity and rule of minds. He is highly, acclaimed of his infamous novel, 'Lady Chatterley's Lover'. His poems and other writing, predominantly moved around nature earth, birds, animals, et al. It takes a brave heart to write something as satirical and insidious piece of work – 'Brave New World'. Aldous Huxley, was surely one such odd writers amongst a bunch of commoners. Being born in a the most prominent literary family, Aldous Huxley inherited writing in his genes. From being into Air Force, to a being a French language tutor; Huxley has gained the his name amongst the world's all-time classic writers. Nature might inspires a writer to pen down his creativity. But only creative genius could compose magnum opus of all time. That magnum opus, which took birth amidst vandalism of humanity & wary space. Anne Frank, is this creative genius; who's one of her kind. She was merely a teenager, when it wrote her diary; while hiding away from the Nazis. It was, 'The Diary of a Young Girl'. This book took the world aback, with the reality check served my a small girl. 60 years down the line, her book still never fails to move the soul of the reader! Richard Scarry, born in Boston is a famous American children's author who has to his name over 300 books published. His widely-acclaimed series of book is 'Busyman'. Kids have always loved to read his books with interest as they were very lively with colourful details. In 1980s and 1990s, many of his books were converted into popular animated videos, which are available on DVD as well. Scarry's books have sold over 100 million copies around the world and are published in over twenty languages. Rudyard Kipling, a popular English short story writer, poet and a novelist was born in Bombay on December 30, 1865. He received the Nobel Price of Literature in 1907. Books that he has penned down for children are considered as classics of children's literature. His well-known work are, 'Just So Stories', 'The Jungle Book' and 'Gunga Din'. The list of august thinker and philosophers, wouldn't go on roll without C. S. Lewis. He is the most influential writers of all time. Highbrowed being, from Ireland is best known for his work like, 'The Chronicles of Narnia', 'The Space Trilogy' & 'The Screwtape Letters'. His journey vastly embraces of being an Army man to tutor, being an atheist to theist and a writer to being honoured with a doctorate degree. 19th Century American Writer's Bookshelf, proudly gives platform to Elbert Hubbard. Born in Illinois, America; Elbert Hubbard took up varied job-types. Right from the salesman, to a teacher, cub-reporter and working on the farm; Elbert did it all until he found success with his love – Writing. He's name got celebrated, as an American writer, publisher, philosopher and artist; with his series of 'Little Journeys to the Homes of the Great' & another short publication with the name of 'A Message to Garcia. Mary Ann Evans, an English writer & journalist; was few from the lot of eminent writers that belonged to the Victoria Era. Yes, it Mary Ann Evans whose pseudonym was George Eliot. She dived into the psychological analysis of modern fiction. She shunned the religious belief at a very tender age and stopping attending church – an inclination of her intellectual cravings and beliefs. Her work mainly consists of 'Adam Bede', 'The Mill on the Floss', 'Silas Marner' and 'Middlemarch'. He was a British Canadian novelist who took up writing after working several jobs and writing part-time. He was inspired by the success of a CBC television drama. His popularity amongst his readers guaranteed the success of his works. She is an American romantic novelist and author of mainstream dramas. Her novels have been on the New York Times bestseller list for the highest number of weeks. Her works reflect the complex human nature and are autobiographical. He is an internationally acclaimed American author, who mainly wrote novels with themes like love, Christian faith, tragedy and fate. Six of his 15 novels have been adapted into films. His unpredictable love stories are well received. International writers are best known for their literary competence and a penchant to write on a wide-range of subjects. International English authors have preserved their rich cultural heritage and added variety to the already existing genres. Popular authors in English have striven to accomplish the goals that have been original. Nevertheless, an English author has attained success by virtue of his competence and dexterity which allow him to mold his writing for diverse audiences. Impeccable writing skills, creative bend of mind, and an inclination for exploring other cultures, have largely influenced the works of International writers. Popular authors are writers that have influenced generations with their writing. English writers and International writers of classics and bestsellers are included in the category. Their works are a result of perseverance. The various classics and bestsellers by International writers have influenced readers from across the globe and will continue to do so in the years to come.